Released in 1983, this digital synthesizer with its FM sound engine revolutionized the global music scene. A squared body with controls flush to its surface. 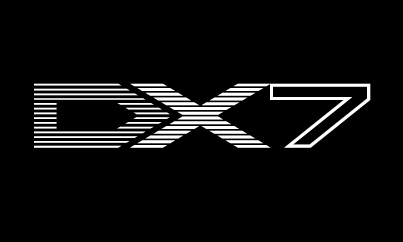 The monumental presence of the DX7 denotes its identity as an enduring standard for digital synthesizers. In a reversal of the values present in analog synthesizers, the designers removed all imprecise controls that can result in settings that are difficult to reproduce. The multiple switches, along with an LCD displaying parameter settings, establish the DX7 as the true essence of a digital synthesizer. 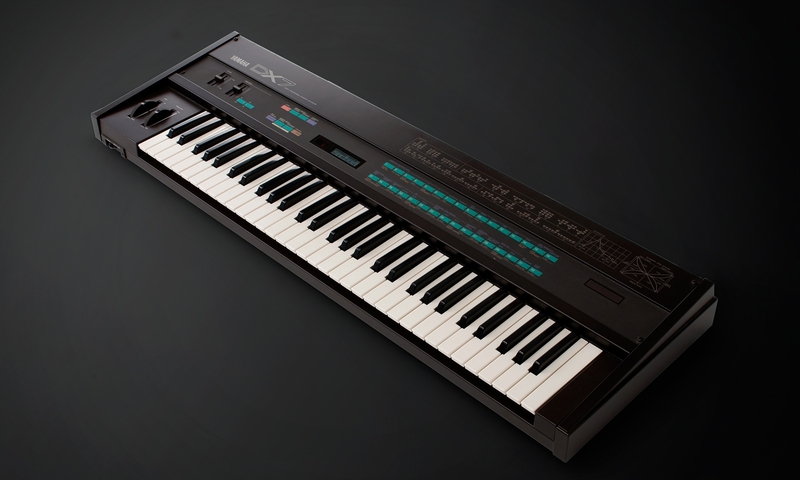 The DX7 utilizes flat membrane switches, allowing the musician to access all sound functions via a flat surface. The clear DX green that denotes switch groups fosters a clean, professional atmosphere. 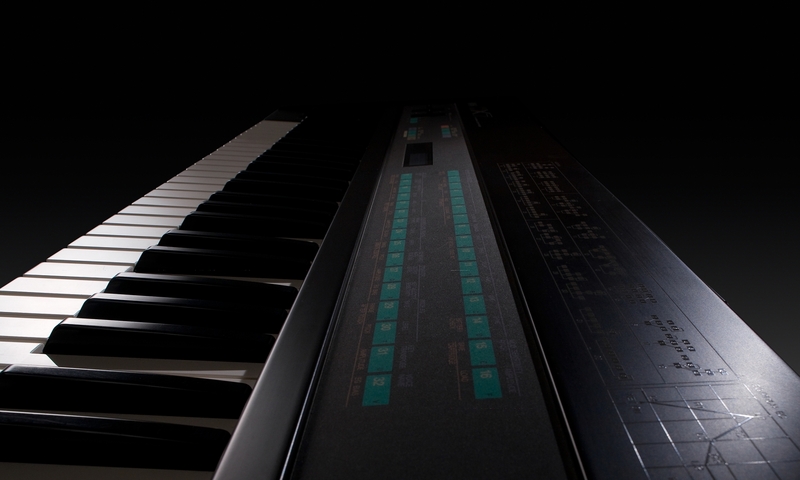 The DX7 embodies the flick-of-a-switch method of choosing presets and algorithms used in digital synthesizers. This was a complete turnaround from the image of analog synthesizers, where advanced functionality tended to be indicated by a preponderance of knobs and buttons. Using design to herald the arrival of the digital age. 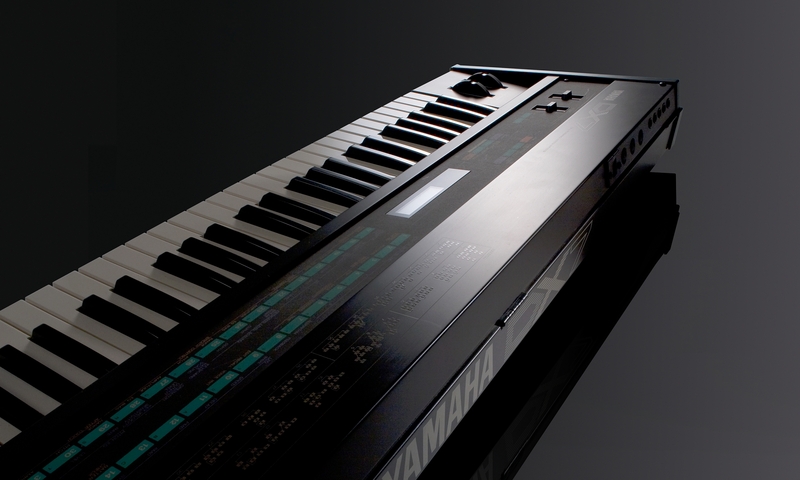 In1983, at the height of the techno-pop movement and the zenith of popularity for analog synthesizers, Yamaha released the innovative DX7 digital synthesizer. This called for a design that made it obvious to all that it was the first digital synthesizer around. The design expressed the newness of this completely different digital dimension and we had to create a design that heralded the arrival of the digital age. To do that, we aimed for a simple, square form that would be a vivid contrast to analog synthesizers and their panels crowded with buttons and knobs. We removed all physical controllers except for the keyboard, using smooth membrane switches, something relatively new for a musical instrument. 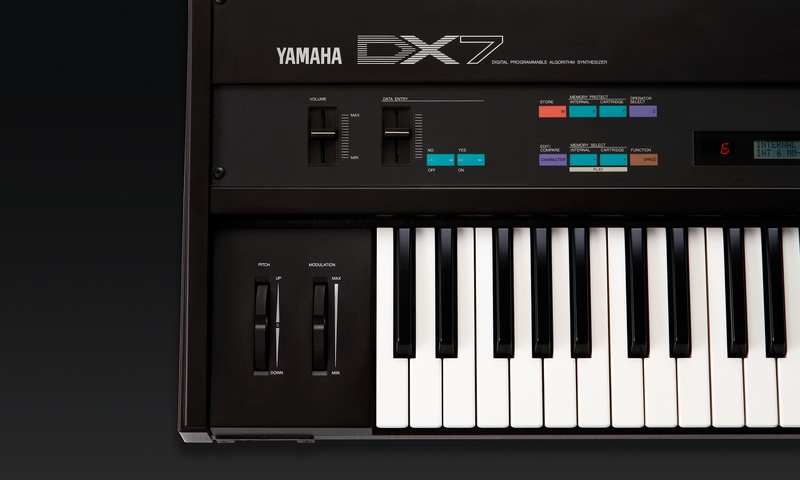 In utilizing this switch-based digital control for all aspects of its operation, the DX7 gave a clear message to that player that here was a synthesizer completely different to all those that had gone before. Adding these membrane switches to the design, it was vital that we make use of a color scheme that maximized their visibility. To achieve a clear contrast with the dark brown of the body, we used a vivid green for the panel that we came to refer to as "DX Green." DX Green was eventually used on variety of products, and it came to symbolize digital technology.